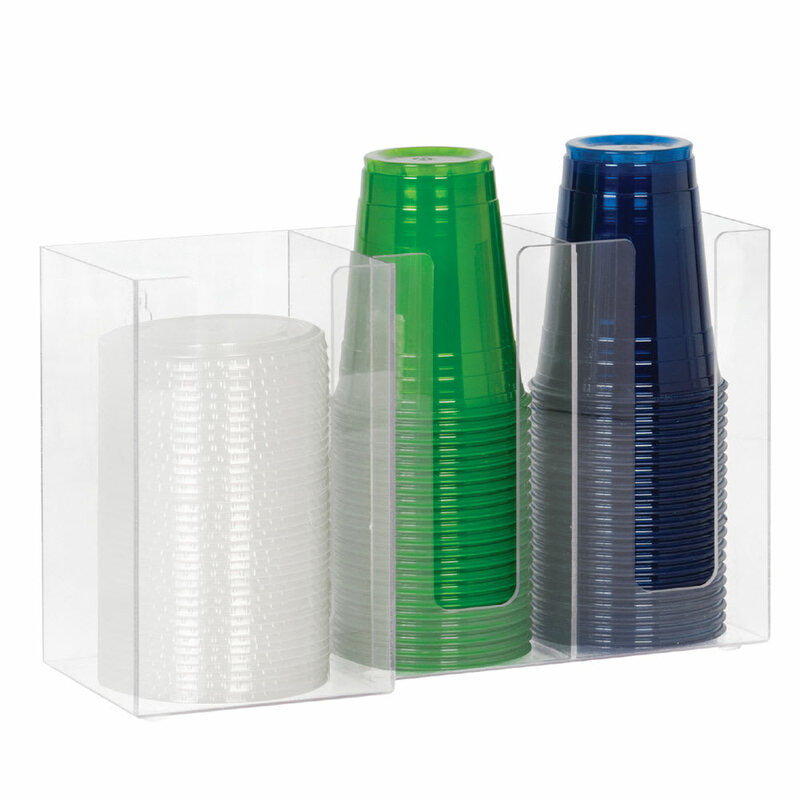 Made of clear acrylic, the Dispense-Rite CTHL-3 lid and cup organizer has three sections to hold cups and lids and is convenient to clean and spot-check for restocking. This container works great for self-service and encourages organization. Its effortless setup and ergonomic design enables it to be used in any foodservice operation. 3 sections: (2) 4 in. and (1) 5 in. The Dispense-Rite resource article has additional information on the various organizers that are available. 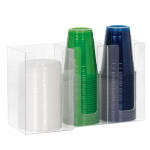 Lid/Cup Organizer, horizontal, 3 section: (2) 4" & (1) 5", 8" H x 13-1/4" W x 5-1/8" D, acrylic, clear.